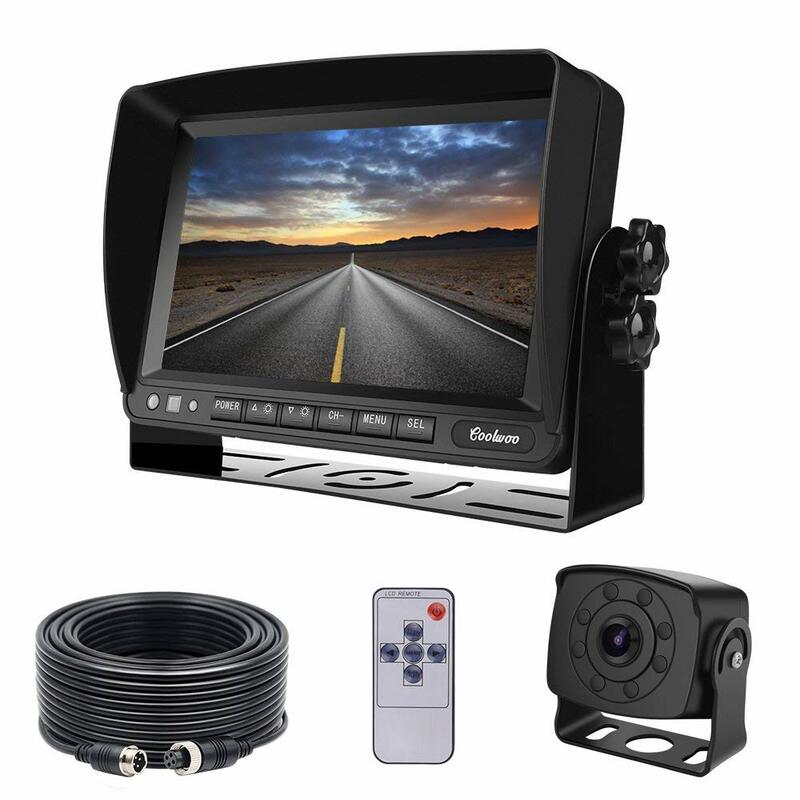 Looking for the best RV backup camera of 2019? Whether you want budget or premium, we've found the best backup camera in each category! 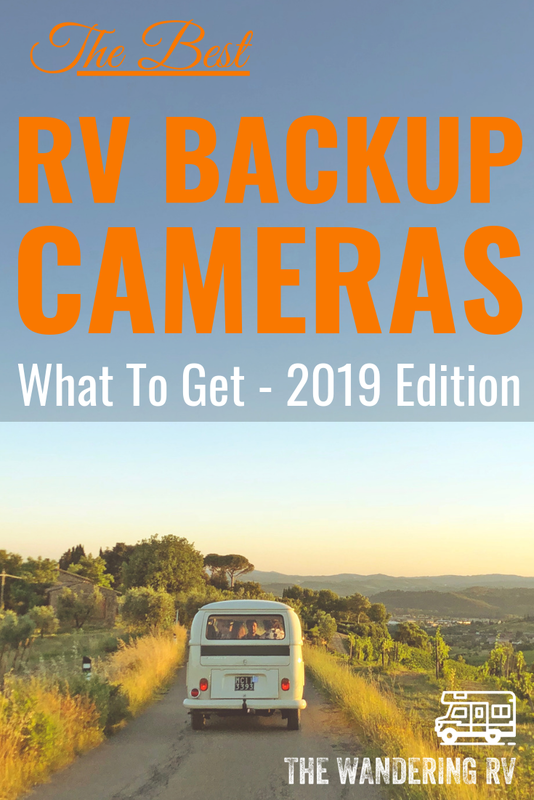 In this post, we'll be talking about whether or not you really need a backup camera, how to choose one, different types of RV backup cameras, and our top choices. We also have a small FAQ section at the end! Let's dive into this giant post! 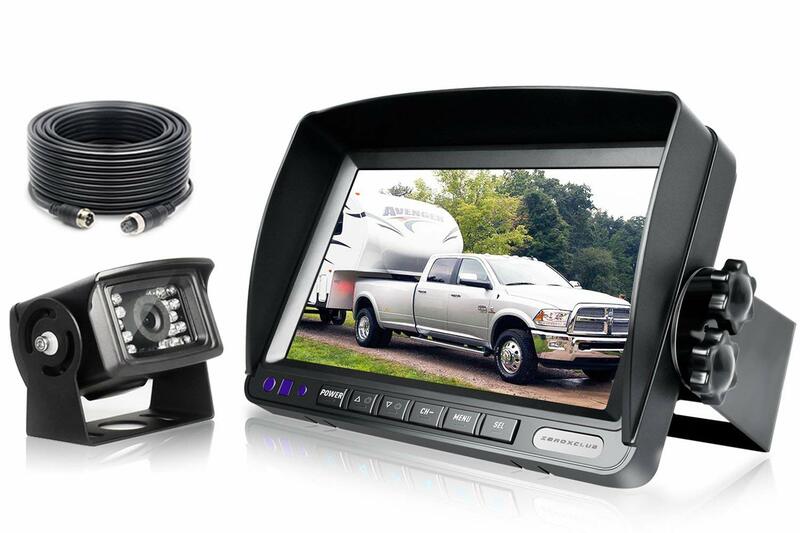 Do You Need an RV Backup Camera? How Do I Install My RV Backup Camera? Should I Get A CCD or CMOS Sensor? How Do I Fix My RV Backup Camera? You don’t need a backup camera attached to your RV. However, we highly recommend getting one for your safety. You could have the cleanest driving record… and still get into an accident. Backing your RV into a gas pump (...guilty) or nearly escaping a close encounter with the RV next to you while trying to maneuver yourself out of your site will be much less likely if you have a backup camera. Plus, they’re pretty cool to have! I love being able to sit in the RV with Bill while we back out of tight spaces. It’s far less stressful and I can still offer help when needed. There’s a fair bit of research you have to do before you settle on a backup camera before you go out and purchase one, though. Let me walk you through some of the steps! … you have no freaking idea what to look for when browsing/buying one! Been there, done that! We wanted to help you with this as much as we could and came up with a few things you should keep in mind. You'll want to find an RV that comes with infrared, night vision, colored, and black and white options. The quality of your RV backup camera is one of the most important things to think about when browsing for one. We also recommend you get one with outstanding video quality (we suggest going with one that has a digital video signal to avoid interference). Unless you plan on taking your brand new RV backup camera to a professional to install it, you're going to want to purchase one that isn't incredibly difficult to install. Wireless RV backup cameras are the easiest of the two, but have their own faults (we'll get to that later). 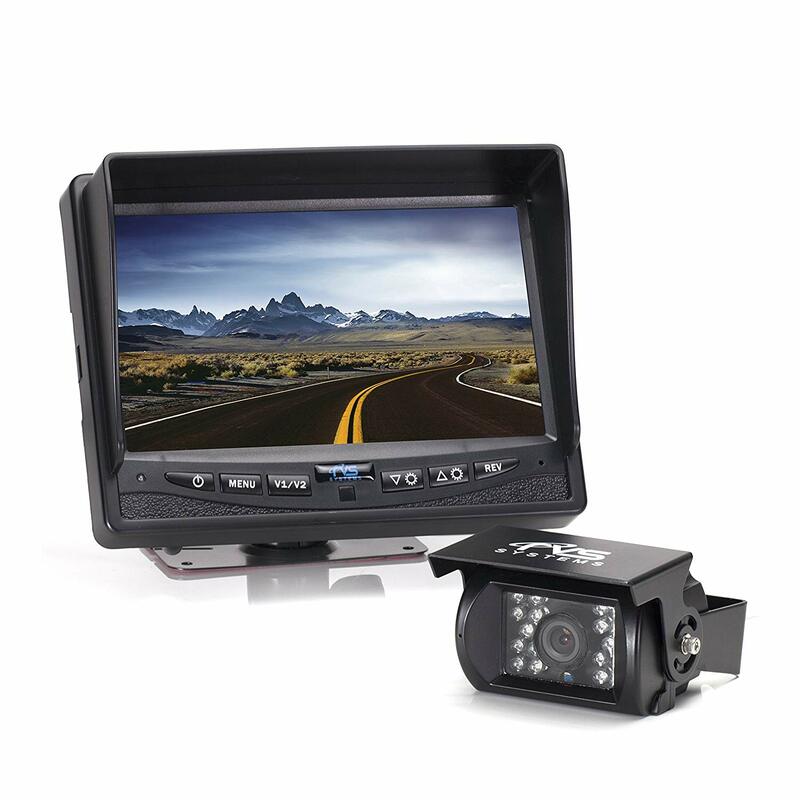 Lastly, you have to determine how much money you’re willing to spend on a backup camera for your RV. That said, you’re getting what you pay for. If you want something that’s incredibly high-tech that’ll last a few years and can afford to spend a few extra dollars, you may find that it’s worth it. If you have a budget you’re trying to stay inside of, that’s okay too! Just note, some features might not be included in all models (such as infrared and night vision). Pro Tip: Keep in mind that for some models, you also have to purchase a mounting bracket to properly install your backup camera. Let's dive a little deeper into each type. A wired RV backup camera can be used on literally any RV - motor homes, fifth wheels, utility trailers, travel trailers, and more. 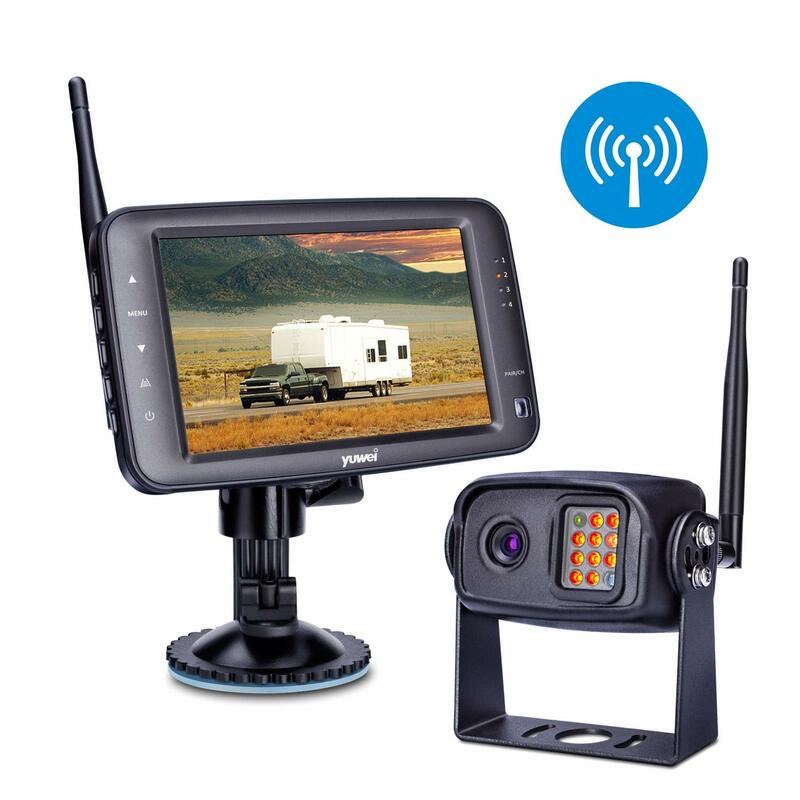 Because this backup camera is wired into your RV, you don't have to worry about losing the signal as much as you would with wireless RV backup cameras (this is especially good if you have a longer RV, keeping the signal is harder the further away it is). 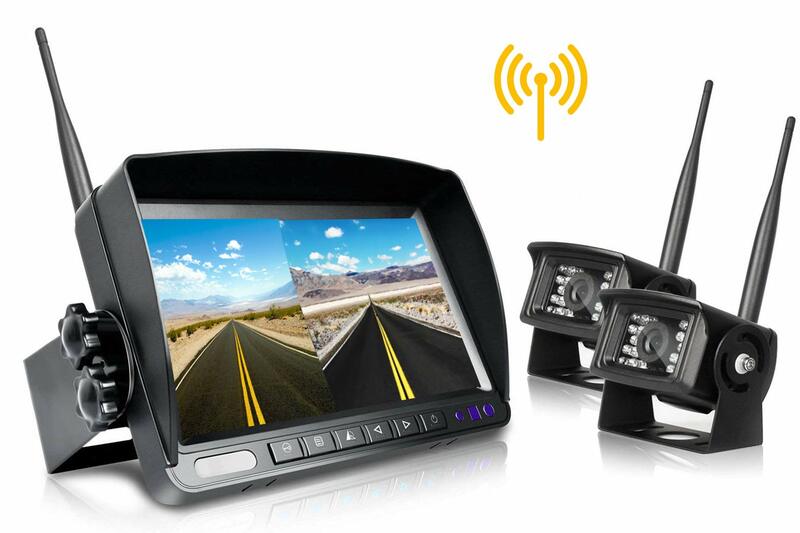 Wired RV backup cameras tend to cost a bit more than a wireless RV camera, however. Especially if you need to have it professionally installed. 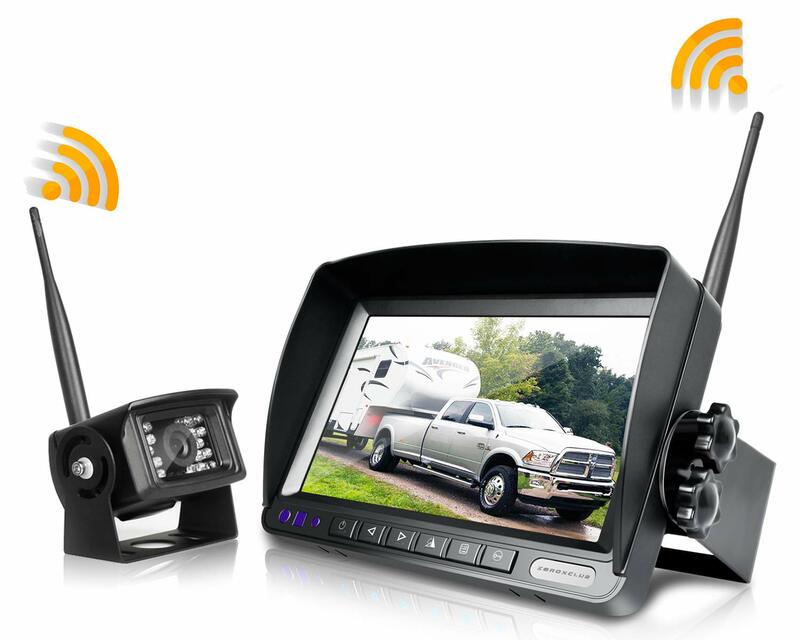 Wireless RV backup cameras are the easiest to install. They need to be plugged into the DC (12 volt) inside of your RV and boom - you're good! The monitor is plugged into the cigarette outlet in the console of your RV and come with a mounting bracket or a suction cup to sit on top of the RV dash. The main problem with wireless RV backup cameras is how unreliable they can be (depending on the size of your RV). Many complain about the signal not being strong enough. This is one of those "can you deal with the negatives of one or are they a deal breaker" kind of questions. If it were me, I'd go with a wired RV backup camera mainly because I wouldn't want any interference when driving. If you have a smaller rig, this may not be an issue for you. As I said before, the signal will waver more if your rig is larger. Let's quickly go over the top 3 wired and wireless backup cameras to get in 2019. Note: These backup cameras are purely based on our opinions, there are tons on the market; we're just sharing what we believe to be the very best! We’ve covered a lot so far, but wanted to end this article with a few frequently asked questions. Depending on whether you have a wired or wireless RV backup camera, there are different ways on how to do this. We recommend checking out this post for more help (as we're not experts on this, ourselves). CCD sensors (charge coupled device) create high-quality images with low noise. They're sensitive to light and are great to use in low-light settings. CMOS sensors (complimentary metal oxide semiconductor) need far more light to create low noise images. For better picture and video quality, I'd go with the CCD sensor. This way, you'll get the best of the best even at night when there's little to no light. If you feel confident in your abilities and have a manual on how to fix the underlying issue with your RV backup camera, by all means, go fix it! If it were me, though? I'd take it to a professional. Without proper knowledge on how to fix your RV backup camera, you may end up making matters worse. As always, if we didn't answer a question we have listed, don't hesitate to ask us in the comment section below!